The posture from which you view the Scripture shapes every doctrine you believe. Harold Lindsell said our view of Scripture “is like the Continental Divide in the United States. … Inexorably and inevitably the waters find their way to their ultimate destiny, just as one’s view of the Bible determines ultimately what his theology will be” (25). Therefore, a book like The Scripture Cannot Be Broken comes with the understanding that what you believe about the Scripture affects what you believe about the world. Let’s take a look at the highlights of the book and then make some observations that would be helpful to the reader. First of all, the book is a compilation with John MacArthur serving as the general editor. 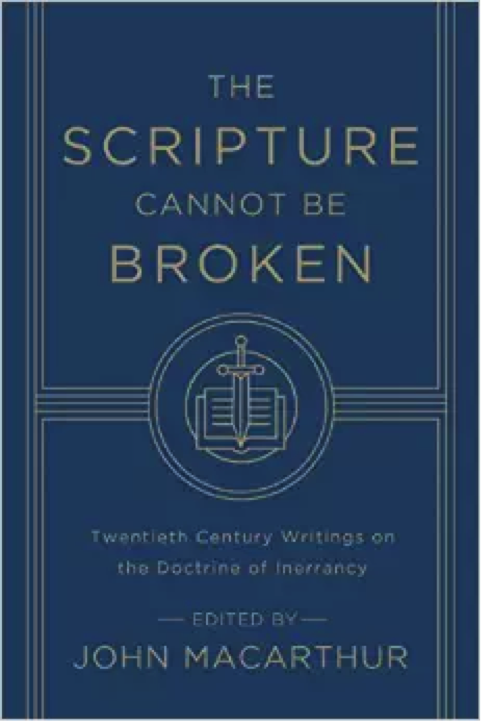 He developed the content in a way that moves from a historical perspective of the Scriptures through inerrancy, inspiration, and finally infallibility. In each section there are contributions by leading scholars—past and present—on those specific subjects. The primacy of the Scriptures and their importance is carried throughout all of the chapters. Therefore, this is not a book with differing views on the issue of bibliology but rather a uniform approach to these varying subjects by like-minded individuals. The editing team has approached each subject with a definition, defense, and identification of what the Scripture says in those areas. For instance, inspiration is started by B.B. Warfield in establishing the parameters, developed by R. Laird Harris for a historical perspective, and finished with Alan Stibbs’ article on the Scriptures testimony of inspiration. It offers a comprehensive approach to each subject. Overall, it is an excellent resource. The Scriptures Cannot Be Broken could not be more timely in its reminder that what you believe about the Scriptures shapes how you view the world. But it also doesn’t commit bibliolatry in the process as seen in phrases like, “It is first and foremost not a book about a book [referring to the Bible], but a book about God, about Christ, about the salvation of man from sin” (117). The contributors have raised the readers view of Scripture while pointing them to the God of Scripture. However, this book is quite dense so approach it with that understanding. It will not be a good Christian living resource but will greatly resource your Christian living. Most likely, this will become a textbook in colleges due to its density but it is a perfect resource for those who wanting to understand the Scriptures and their self-witness. Your people, your ministry, your preaching, and your own walk will benefit from slowly working through this valuable resource. By Greg E. Gifford in Uncategorized on May 26, 2015 .